Rogue swells kept smacking into our faces as our boat negotiated the open sea between our two island destinations. It was a blisteringly hot summer’s day and the soaking we were receiving was very much welcome. Soon our boat was negotiating the northern end of Aslom Island and would come to rest at the tip of a beautiful, snaking white sandbar. It wasn’t long before we noticed that we were the only non-local visitors to the island that morning. It had been a while since we had a nice beach and island all to ourselves. 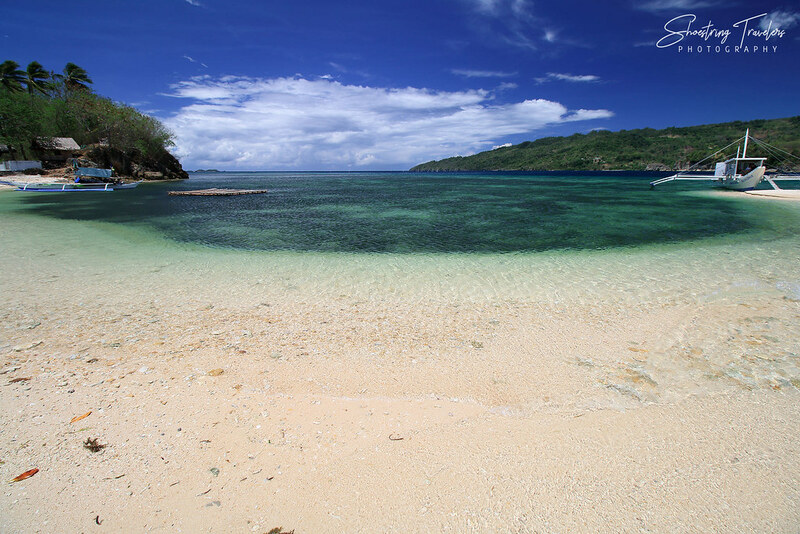 Despite our preference for little-known or off-the-beaten-path destinations we were not the sole guests in all of the islands and beaches we’ve visited within the last two years, with the exception of a trio of relatively unknown islands in Romblon. 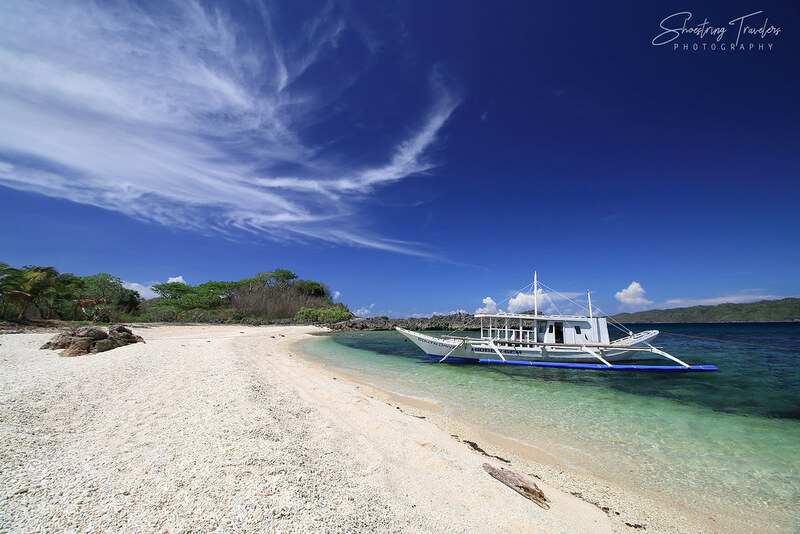 So we were pleasantly surprised when we finally got to visit this group of islands off the southern Mindoro Oriental town of Bulalacao – a destination that has been in our crosshairs since 3 years ago. Our second day in Bulalacao started with an island-hopping tour to a group of three islands located off the southwestern coast of the town. 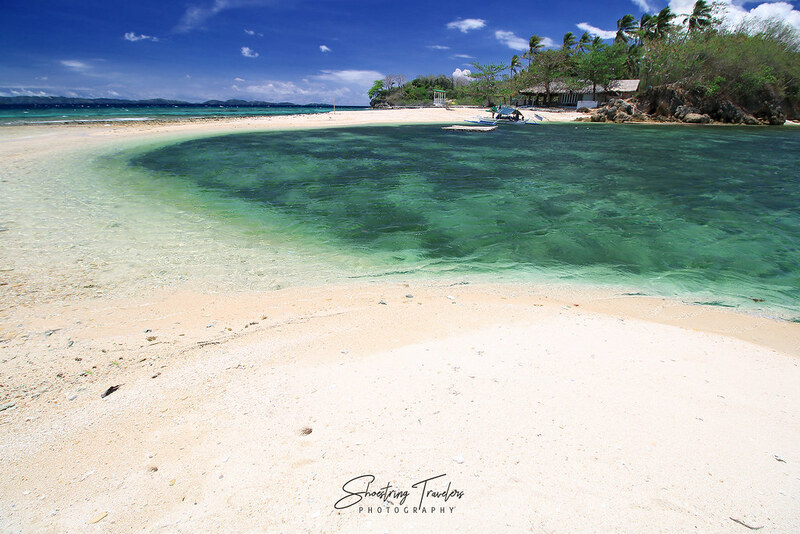 Silad Island is in the middle of the group and is about 35 minutes away by boat from our resort – the South Drive Beach Resort in Barangay Maujao. Silad is a bone-shaped island with white sand beaches running along the western and eastern sides. Out boat eventually docked on the western beach (the eastern beach seemed to be bracketed by strong waves that morning). 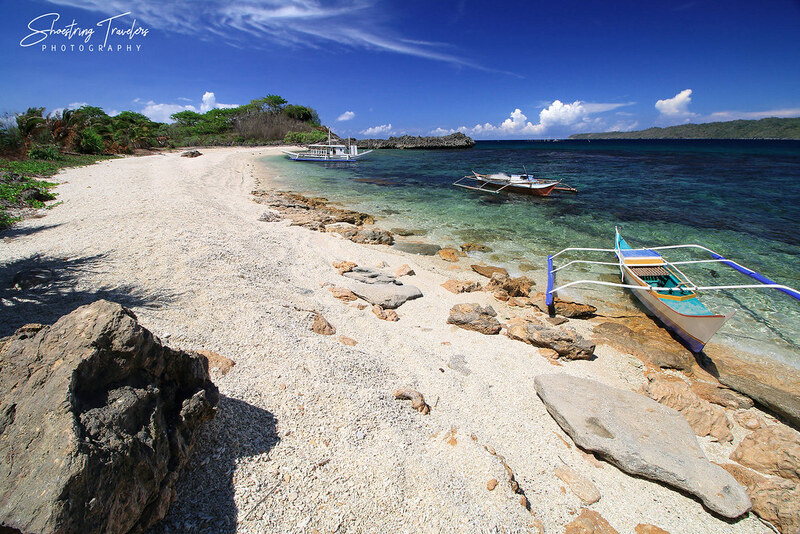 The white sand on this beach is coarse-grained and somewhat gravelly but the beach and surrounding waters are clean and pristine. A cemented pathway led to a view deck on a hill on the island’s southern end that provided a panoramic view of the western beach. Nearby is an unfinished villa, a subtle hint that the island is privately owned. From the view deck our group rounded the pathway to another viewing area from where we got to spot the open sea south of Silad and the nearby Target or Alibatan Island. There are several rock formations scattered all over Silad. A group of copper-hued rocks at the island’s northern end also provided some sort of a rest stop for a small group of fishermen, the only other human beings on the island. 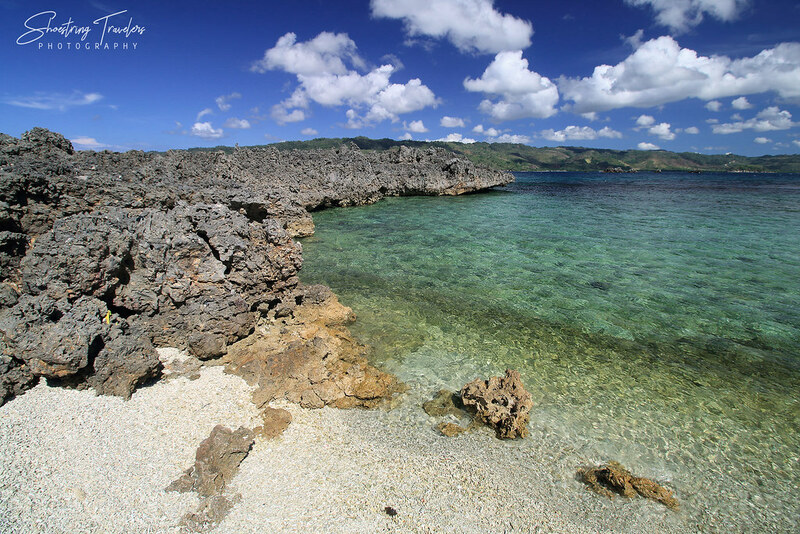 The surrounding waters are crystal-clear making swimming and snorkeling a delight here. We were thinking about crossing a forested area inland to get to the beach on the eastern side of Silad but we didn’t see any clear path through the forest. 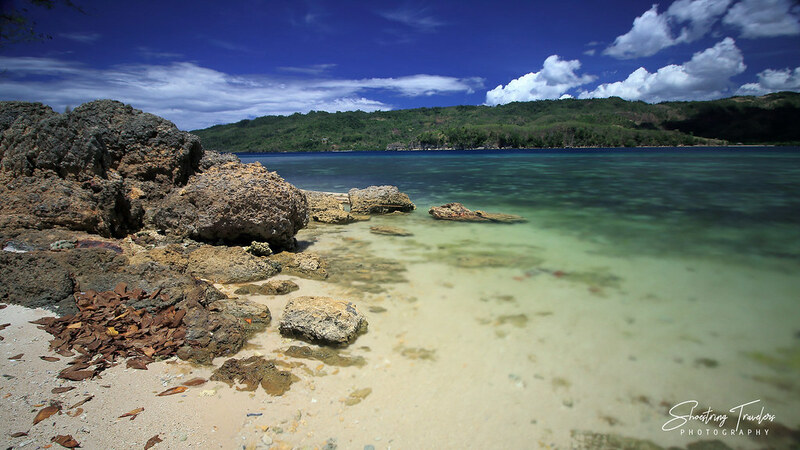 The next island on our list should have been Alibatan Island – frequently referred to as Target Island – but the waves were just too rough that morning. Disappointed we agreed to move on to the next island – Aslom, which was less than 10 minutes away from Silad and is actually the closest among the three islands to the Mindoro mainland. The crossing between Aslom and Silad was where we encountered the rogue waves; consequently our boatmen had to stow away our bags and camera equipment inside a protected section of the boat. Despite the rough swells, we arrived in Aslom within 10 minutes. The island has 3 beaches and we ended up at the northern beach with its beautiful curving sandbar. Our boat docked at the northern tip of the sandbar and we soon had our snack/light lunch aboard our sea taxi. Aslom is the Cebuano word for “sour” – possibly in reference to the numerous tamarind trees on the island. It is also privately owned. An almost finished rest house is situated at the southern end of the sandbar and according to the lone caretaker Aslom is owned by a member of the Lhuillier family from Cebu. 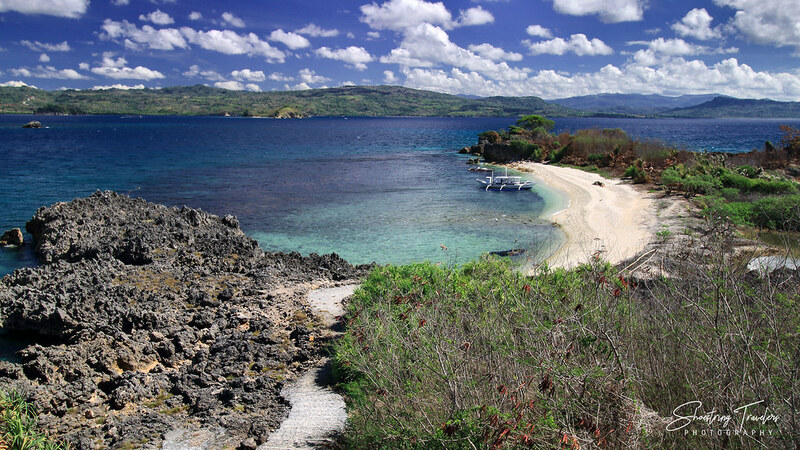 Like Silad Island, Aslom has no other establishments aside from the owners’ rest houses. The waters here are also very clear. 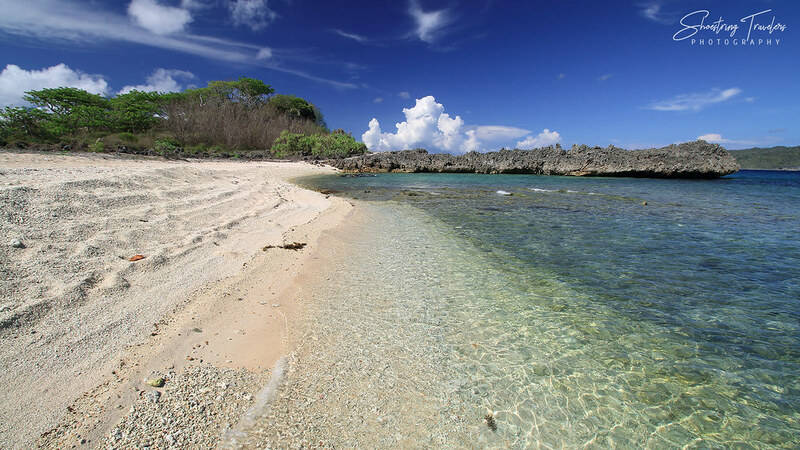 The small lagoon formed by the curving sandbar has a sudden drop down making it an ideal area for snorkeling. We also explored the beach further inland and observed another group of fishermen in the area. They were probably using the beach here as a stopover but they were also catching crablets by digging deep inside the small holes made by the small crabs in the sand. These crablets will be cooked in coconut milk at the fishermen’s homes later. 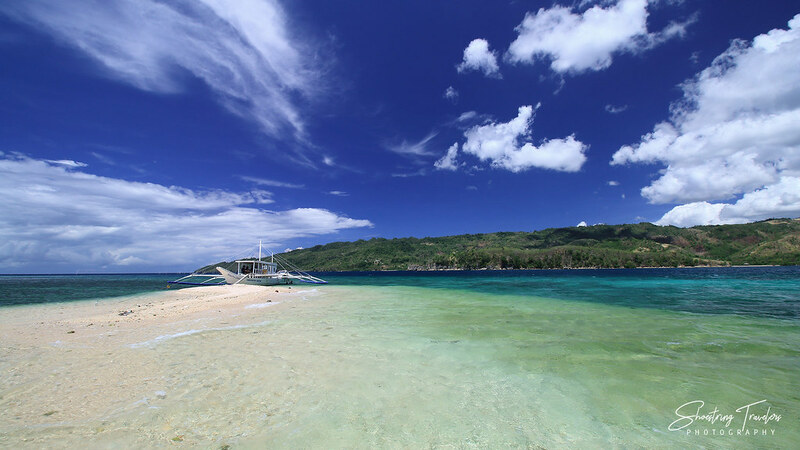 In place of the third island – Alibatan or Target Island – on our island-hopping tour, the boatmen took us instead to Talisay Beach at Barangay Balatasan in the mainland. 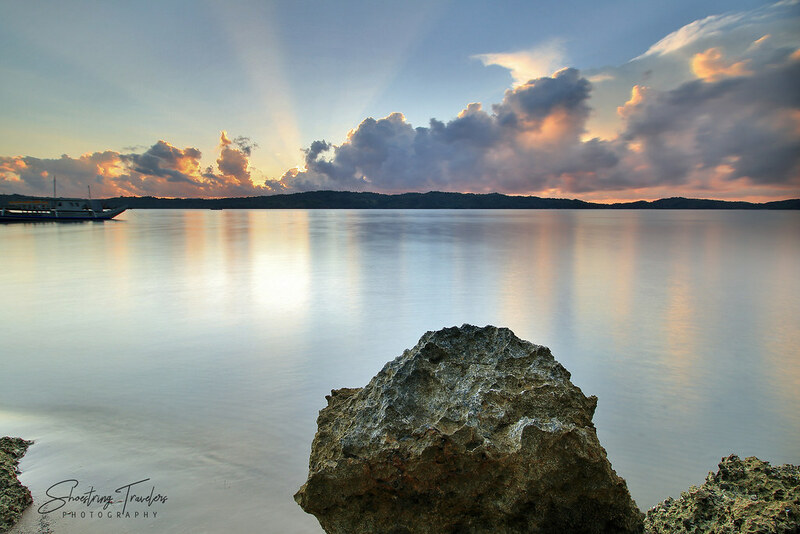 The latter is a peninsula southeast of Bulalacao town proper and actually lies across a small bay from our resort. This beach is the property of Engr. Chiquita “Ching” Jano, the same owner of South Drive Beach Resort where we stayed. 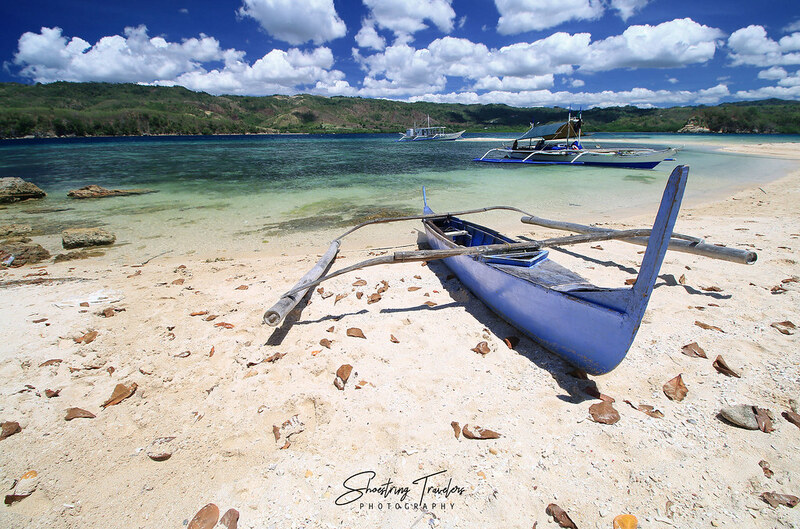 Talisay is a short stretch of light brown sand beach; the turquoise waters off the beach are not as clear as that in the islands but we nevertheless enjoyed our time here until it was time to go back to our resort by mid-afternoon. Motorized boats at Bulalacao’s fish port can take guests to the three islands of Silad, Aslom and Target or Alibatan Island. 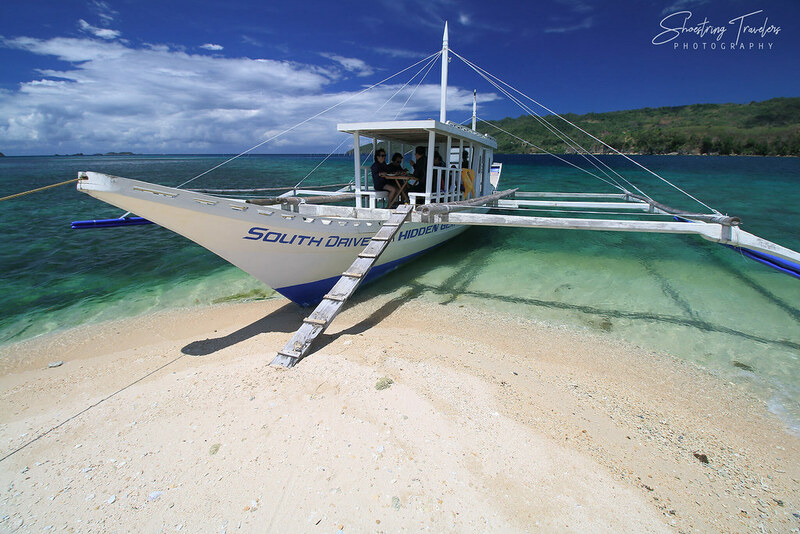 South Drive Beach Resort where we stayed has boats that can take guests to the islands for P3,500. Other resorts in the mainland probably have their own boats or can book a boat for their guests. Since there are no restaurants or resorts on all 3 islands visitors should bring their own food and water. We had ours cooked and packaged by our resort. Just be prepared for the possibility of missing out on a trip to Target Island; the latter is located out in the open sea where the waves might be too rough at certain times. We were somewhat puzzled since it was summer but that doesn’t always guarantee smooth sailing. Our boatmen mentioned that had we arrived 2 days earlier when the sea was much calmer we would have made it to Target Island easily. We’ll be sharing more travel tips plus how to get to Bulalacao on our next posts. 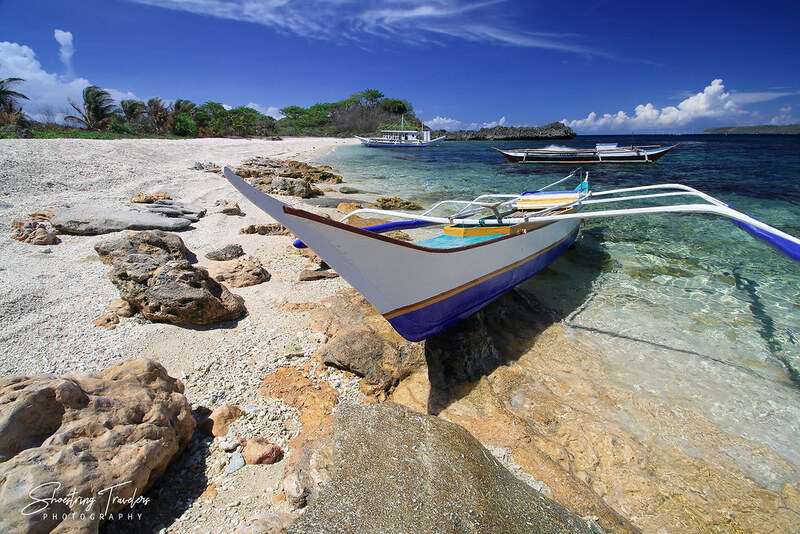 Posted in MindoroTagged Aslom Island, beaches, Bulalacao, island-hopping, islands, Mindoro Oriental, sandbar, Silad IslandBookmark the permalink.